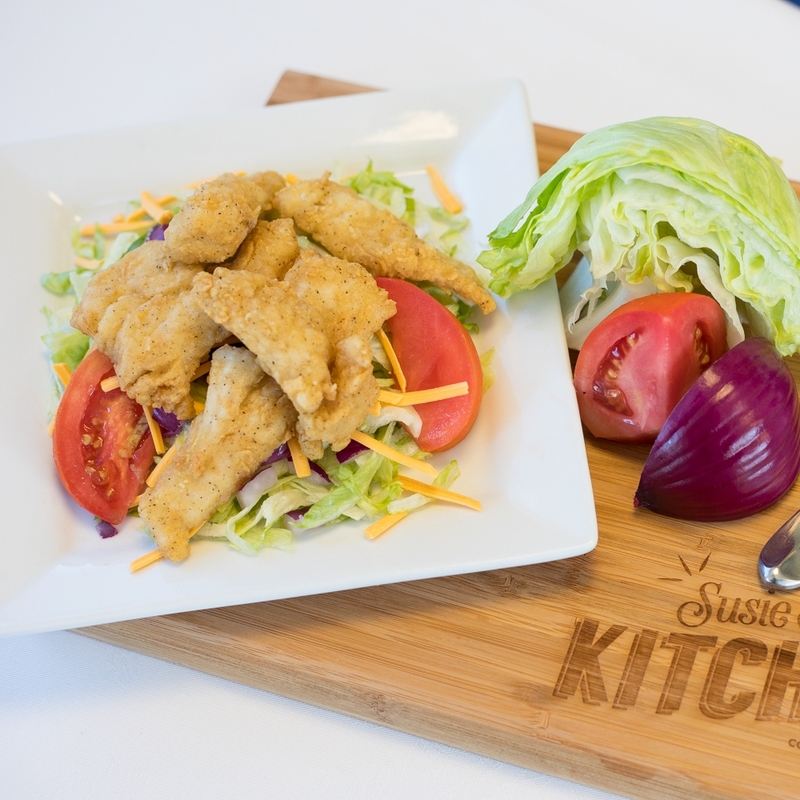 Our most popular menu item is our Fish Salad. It’s often called several things such as Seafood Salad and Catfish Salad. I remind often customers it’s Whiting and their immediate response is, “What, I don’t eat Whiting!” I laugh to myself because people have been eating it for years. Before I move forward let me tell you the story behind the fish salad. 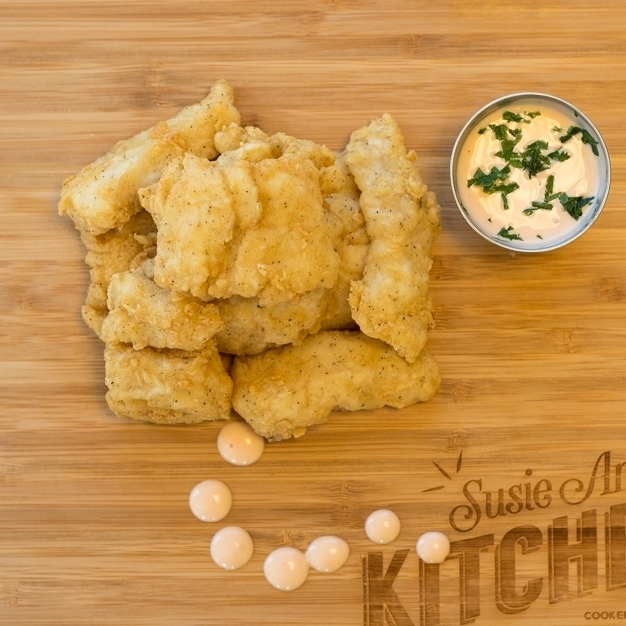 On top of a fish salad are Whiting fish nuggets. Salaam Seafood fish nuggets were created by my father to counter chicken nuggets that were entering the market thirty plus years ago. There were other restaurants who had fish salads on their menu but it was prepared differently. They fried the fish with the bone first and then finely chopped it up on the salad. My mother perfected the recipe by deboning the whiting so it would be safe for children to enjoy. Paired with our homemade house dressing, the Salaam Seafood Fish Salad was introduced to the market in 1986. 1. The Whiting is skinless which allows the fish to hold less oil and more flavor. 2. The Whiting is filet so you don’t have to fight with bones. 3. The Whiting is hand-cut first, battered, then fried 8-10 minutes. 4. Our signature house dressing is homemade weekly. I want to hear from you. Tell me why you think our fish salad is unique? For our fish salad, we debone the whiting first. We then hand-cut the fish. Finally we the nuggets and then fry the fish.